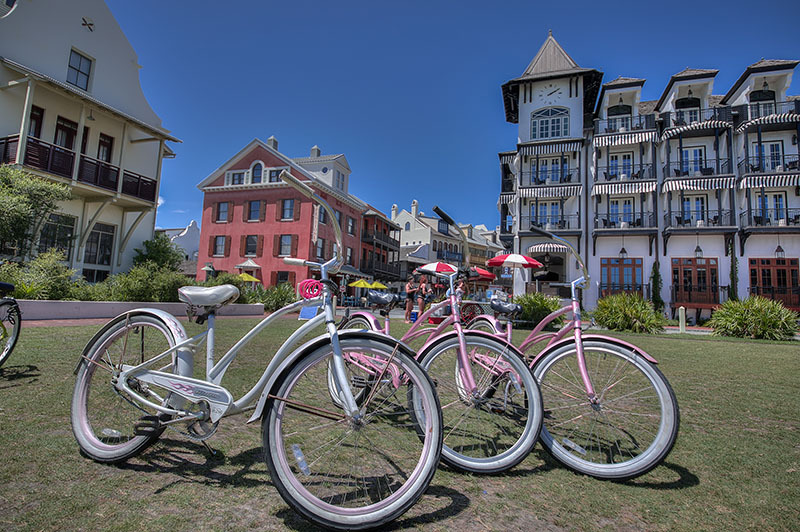 Rosemary Beach is a welcoming beach town designed to reunite the concepts of community and connectivity in a quaint town setting. Designed by Miami-based Duany Plater-Zyberk and Company, Rosemary Beach embraces the principles of traditional town planning with a pedestrian friendly design. Play a quick game of catch on the Western Green before heading down to the community’s gorgeous private beach. Experience the ultimate in coastal fine dining at Restaurant Paradis and try their mouth-watering Cast Iron Filet. Set out on the 2.3-mile Rosemary Beach Fitness and Walking Trail, complete with four fitness stations for strength training.